Movers and Shuckers: Montreal’s 7th Annual Oysterfest! Oyster lovers, unite and assemble down at the Peel Basin on the weekend of August 29th & 30th for Montreal’s 7th annual oyster fest! In typical Montreal fashion, we love to party for just about any reason, and one thing that definitely warrants a party is good food! The essence of Oysterfest is to celebrate the summer, celebrate our beautiful city and the people who live here, and most of all; it celebrates the star of the show, the oyster. When it first started seven years ago, founder Daniel Notkin organized the event that drew in about 150 attendees and a handful of sponsors and participants. Putting things in perspective, last year at Oysterfest, over 23,000 oysters were served and enjoyed. This year, there is an estimated guest list of over 8000 attendees, featuring over 80 restaurants and an ambitious goal to savor over 25,000 oysters! Tickets range from $40.00, $70.00 or $350.00 if you would like the VIP experience. Oysterfest becomes a platform that manages to give back, as proceeds to go The Open Pier Conservatory, dedicated in preserving and maintaining clean, healthy waterways as well as the aquatic species living in them. The event itself brings together many favorite Montreal restaurants and bars to keep everyone well fed and hydrated in the best possible way. There are also oyster shucking competitions, live music, and all sorts of activities and forms of entertainment. Rub shoulders with industry professionals, top chefs and mixologists as you take part in competitions like “So You Think You Can Drink”, sponsored by Bishop & Bagg, where amateur bartenders pair up with professional, seasoned mixologists to create a signature cocktail. The winner goes on to participate in “The Bishop & Bagg Professional Pro Cup” the following day where the winner joins premiere mixologist to play in a mystery box challenge for a prize! Another exciting event is “The Montreal Chef’s Classic Plating Competition”, where five of the Montreal’s top chefs will face off against each other to create the best, most impressive seafood plate. Platters will then be auctioned off, with proceeds going to the winning chef’s charity of choice. Of course, it wouldn’t be Oysterfest without an oyster shucking competition! 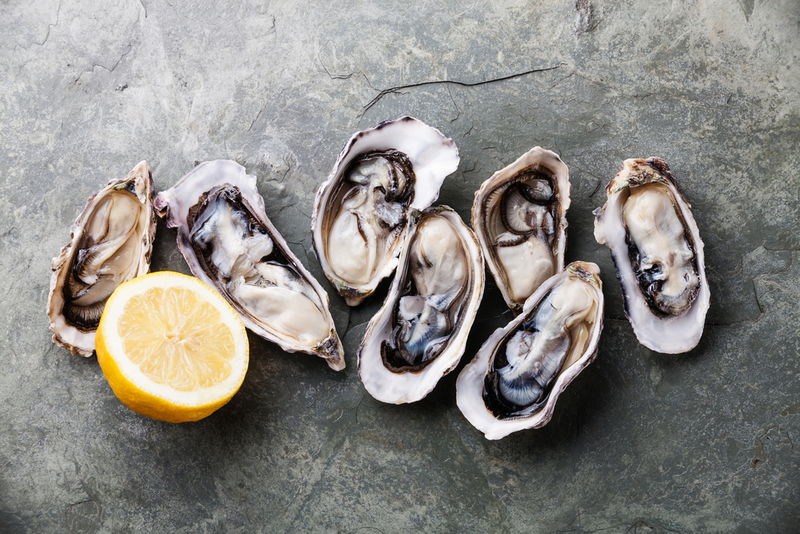 “The Montreal Oyster Shucking Championship” has both amateur and professional divisions, where shuckers from all over North America, including Boston Calgary, Vancouver, Denmark, France, Belgium and Ireland will compete for the ultimate master shucker title. There will also be live entertainment, including Juno award wining, Jonas, as well as local Montreal talent such as hip hop sensation Annakin Slayde as well as Shane Murphy and DJ Myles and Phil spinning tracks. Other notable events include 5 Montreal bands playing, a beer boat race, a slip-and-slide sponsored by K-Way and a fireworks display! This is a great outdoor event that kicks off the end of summer in Montreal with a bang, bringing the best of Montreal together under the sun, all for a good cause, you won’t want to miss it!